Arranged for Mesto by Nabil Azzam with Kareem Roustom. This sama'i is widely heard in concerts and recordings throughout the Middle East. It is composed in maqam (scale) kurd and contains four different sections with one that repeats after each section. In this arrangement one can clearly hear some innovations such as prolonging the form and inserting new phrases as well as variety of embellishments and instrumentation. The sama'i is composed in rhythmic cycle of slow 8/10 except for the last part that is in fast tempo. In classical Turkish/Arabic traditions, concerts often open with a medley in the same maqam. The Sama'i is followed by Longa; A fast composition in douple meter. In this arrangement Roustom successfully used both the traditional takht ensemble and the orchestra. Kareem Roustom also plays the ud with Mesto. From the opening zambekiko to the island balos and ending with a karsilimas, this three-part suite traverses through diverse Greek identities from big city smoke-filled tavernas, to the sunny islands and finally back to the mainland village. Of particular note is the inherent flexibility of the music (and musicians) that permits cross-cultural improvisatory solos in the balos. Miamon Miller is also a violinist with Mesto. This basic melody is widely heard among the Sephardic communities in Spain and the Balkan area. The text is written in Ladino (a language mixed of Spanish and Hebrew). Azzam added two distinctive to the original song melodies. In this arrangement Roustom assigns the main melody to the clarinet. This melody is originally a song by the celebrated poet Khalil Gibran. It was recorded by the Lebanese singer Fairuz in the 1970s. The title could be translated as "the eternal Nay (flute). 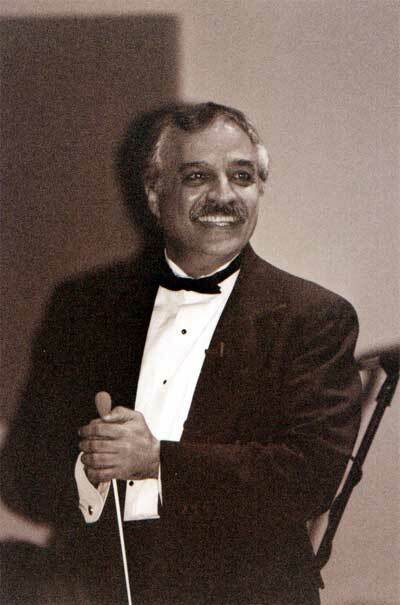 In this performance Nabil Azzam plays the vocal part on his violin while leading the orchestra. "Grand Songs" is the name Nabil Azzam gave to songs composed in Egypt starting in the 1940s that employed large ensemble emulating the Western orchestras. Farid el-Atrache (d. 1975) was one of the most talented singers and composers. 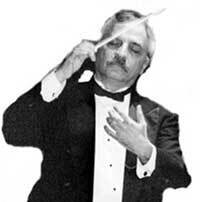 He also performed a number of his works using large orchestras. Farid el-Atrache composed in a style that contains Western musical element, including melodic, rhythmic and instrumental. The present composition is the instrumental introduction to the song Lahn al-Khulud or Banadi Alaik. The original song was performed by the famous singer Wardah in 1984. This is another example of "Grand Songs" that Abd al-Wahhab composed. 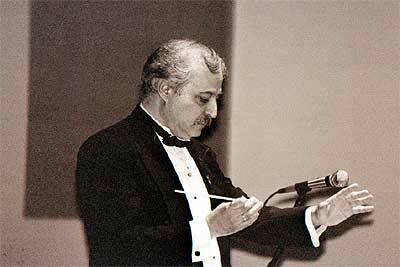 In this arrangement Nabil Azzam took the instrumental introduction of the song and two "interludes" and formed them into one piece. While the introduction is composed in a scale that is playable by the instruments of the orchestra, the rest of the composition include notes that are not in the Western scale. MESTO members refer to such notes as "red notes";. This composition is rich with melodic themes and rhythmic variety.